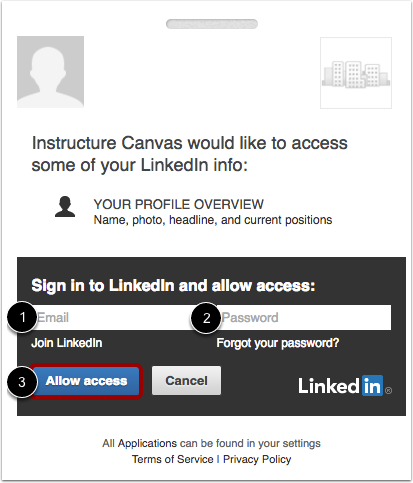 Here you will learn how to connect to the LinkedIn web service in Canvas. Click the LinkedIn button underneath the Other Services heading. Click the Register Your LinkedIn Account button. You will be re-directed to LinkedIn to verify the authorization. Enter your email  and password  in the appropriate fields. 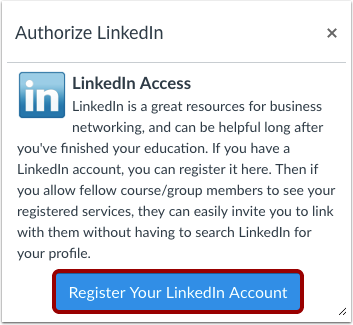 Click the Allow access button to connect your LinkedIn account to Canvas . 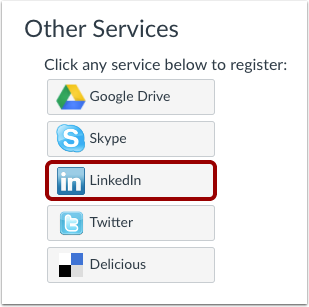 LinkedIn will now appear under the Registered Services heading in your Canvas settings. 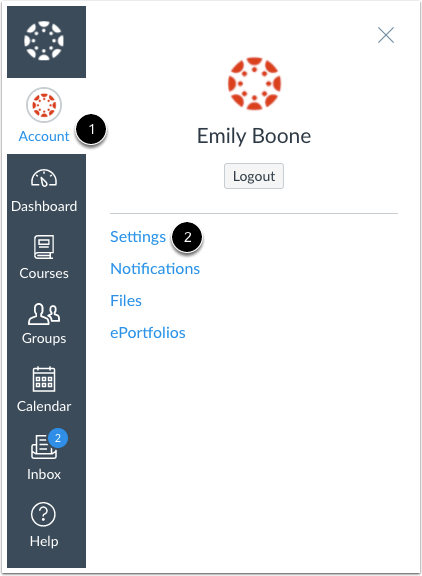 Previous Topic:How do I connect to Skype as a web service in Canvas as a student? Table of Contents > Web Services > How do I connect to LinkedIn as a web service in Canvas as a student? Thanks for adding your comment to the Canvas guides. We'd love to help. Where are you stuck? I know it’s only been a few days since we responded, but I wanted to follow up with you to see if you had any other questions. If you do, please feel free to let us know. In the meantime, if we don’t hear from you, we’ll eventually archive this comment thread. We do this periodically to keep our guides updated and tidy. We’re always happy to help, though, so let us know if you have any other questions about Canvas.